iFly! Is it a bird? Is it a plane? No, it’s Super David!! 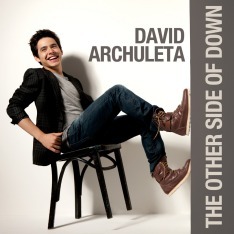 David Archuleta, the young man with the soaring voice, took flight about this time last year. He literally soared! During American Idol 2008, David Archuleta was asked what super power he would like to possess if it were possible. He said, “It would be cool to fly.” And soon after, he got the chance. It’s a simulator, of course, but I’ve imagined how cool it would be to see David Archuleta flying over my house on Halloween night! The last thing I’d like to talk about is something I did at the Universal City Walk. It’s this thing called iFly, and oh my heck! It roocks! You get to fly in a tube! I have a couple of pictures that I’ll put up. I was a little nervous at first, but it’s not even scary when you get in there. I kinda slobbered over myself, but that’s ok because it was totally worth it. I can’t really explain how it was because it was… just a really different experience. I guess it was kinda being like a bird or something… you just don’t move around a whole lot and you’re inside a tube. I guess I got a DVD of it… but I’m pretty sure I’m not going to show that haha. Great choice for Halloween week photo! David has been flying in airplanes so much, he might very well feel like a bird, a plane, or a flying machine. I just hope he always touches down to Earth safely! Great Picture and I remember this too. David was so sweet, how he told us about his experience. Thanks for posting this picture! This is one of my all time favorite pictures of David. He really enjoys his off time and we all enjoy watching him. Thanks for getting this one out of mothballs. Haha! Great choice!